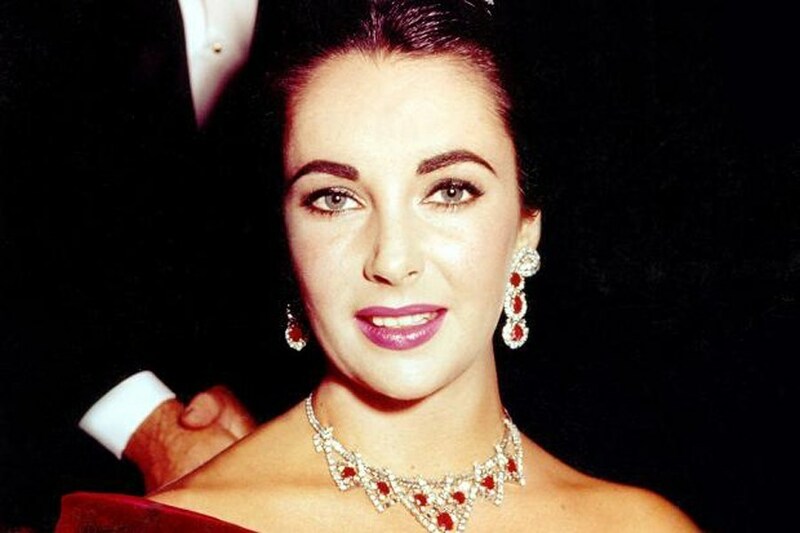 From Hollywood starlets of yesteryear to today's most daring style icons, check out our selection of women of the world who have worn rubies, diamonds and more with impeccable style. Let's start with the undisputed queen of diamonds (and rubies, emeralds and pearls for that matter) Elizabeth Taylor. 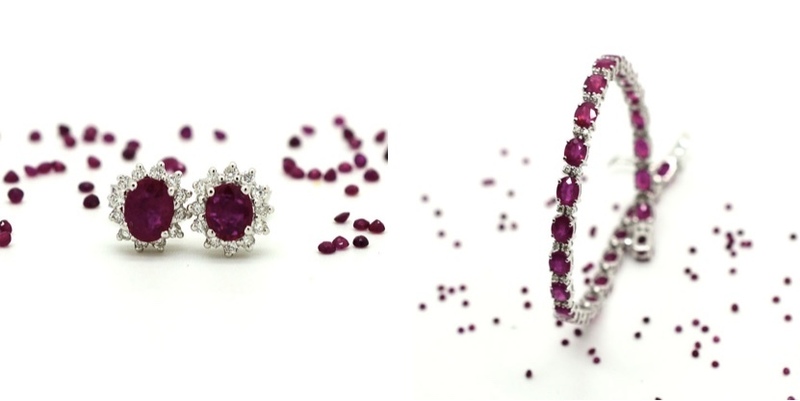 In 1957, Taylor was given this Cartiet ruby and diamond set by her husband Mike Todd. Taylor recalled the day Todd gave her the gift: "I got out and put my arms around him, and he said, 'Wait a minute, don't joggle your tiara.' Because I was wearing the tiara he had bought for me in the pool!'' Naturally. 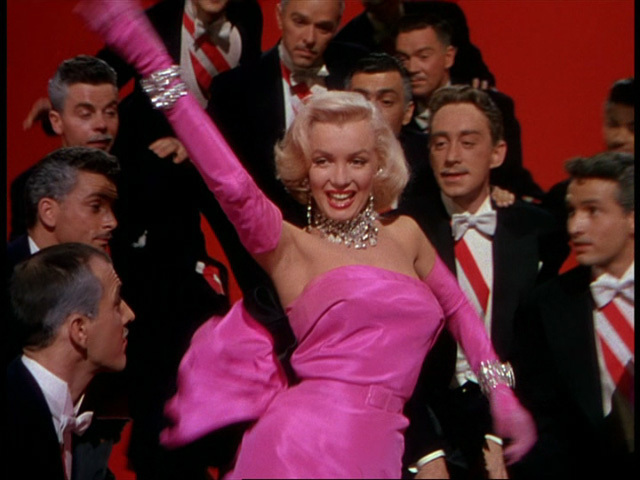 No other moment in movie history has been so associated with the glamour of diamonds as Monroe's performance of Diamonds are a girl's best friend in the 1953 movie Gentleman Prefer Blondes. In the scene, which has since been recreated by such artists including Madonna and Nicole Kidman, Marilyn was dressed by William Travilla, who styled the star for eight of her movies. From a star of yesteryear to a star of today, Lupita Nyong'o burst on to the movie scene with her stellar performance in 12 Years a Slave, back in 2013. Her undisputed talents in Steve McQueen's movie saw her pick up the Academy Award for Best Actress in a Supporting Role. Her red carpet appearances since have inspired women around the world to be creative with their fashion choices, as Nyong'o combines high fashion with street style to create a look totally unique to her. Favorite to pick up the Best Actress gong at the 2010 Academy Awards, Kate Winslet wore another stunning Tiffany & Co. diamonds. The jewels in questions were a $2.5 million yellow diamond necklace paired with matching canary diamond earrings, which were valued at $975 000. Canadian model and activist Winnie Harlow's wardrobe and jewelry box at this year's Cannes Film Festival made sure that she shone like no one else. At the Chopard Space party, Harlow wore a diamond High Jewellery necklace with a 52.76-carat pear-cut emerald by Chopard. 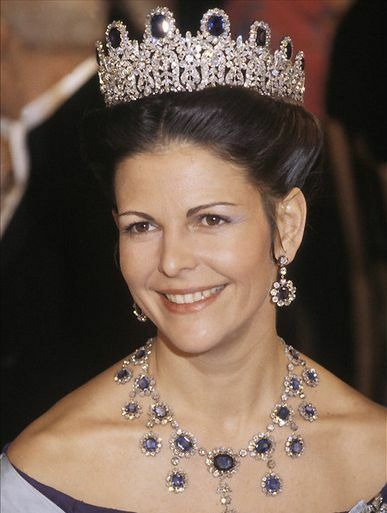 In the jewelry collection of Queen Silvia of Sweden is one of the most famous sapphire diadems. The "Leuchtenberg-Parure" consists of a necklace, pair of earrings, a brooch and two hairpins. It is believed that the Swedish royal house acquired the set as a wedding present for Princess Joséphine von Leuchtenberg, when the Bavarian princess married the Swedish Crown Prince in 1823. All pieces featured are currently up for auction at Catawiki. Check out more here.